This cuddly Makkachin crocheted toy will definitely melt anyone’s heart! Fans of Yuri!!! On Ice, a sports anime series about figure skating, will surely fall in love with this uber cute piece. In fact, this pattern is a great project for intermediate crocheters looking to add fun and unique crocheted items to their collection. The pattern includes detailed written instructions on how to make this cute crocheted dog in one size. As always, you can tweak the directions to make this crocheted piece any size you desire. This crocheted toy is a wonderful creation by the talented designer behind Amigurumi Piano Sound. In fact, you can access the FREE pattern for this crocheted doll from their website. To access the FREE pattern for this cuddly crocheted toy, please click on this link: Makkachin – Yuri On Ice Pattern. 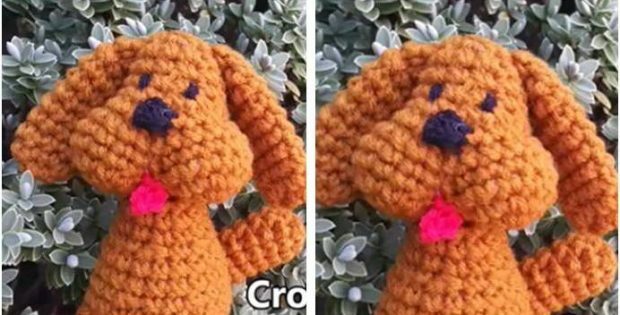 Watch this awesome video and start making your very own crochet Makkachin toy now! Featured image: Amigurumi Piano Sound – thank you!